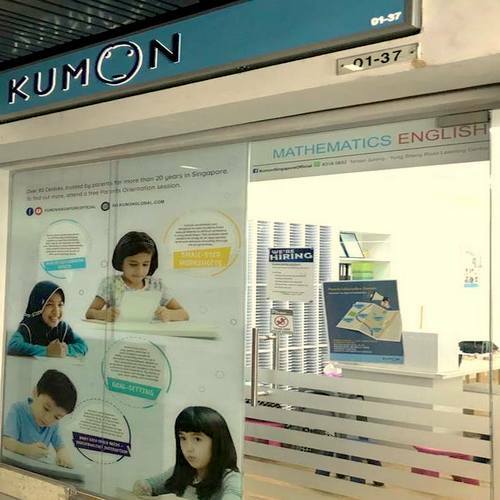 Japanese Kumon Learning Centre has a network of 82 locations in Singapore, including one within Anchorpoint shopping mall (370 Alexandra Road). Founded in 1958 by Toru Kumon, Kumon Learning Centre uses the Kumon Method, an individualised learning system for mathematics & languages, where the starting point for each Kumon student is determined individually. Each of the students starts with a level where he or she can attain a perfect score by studying alone. The Kumon worksheets have been designed in such a way that allows students to figure out how to solve problems on their own. Then, as students continue to study at their own pace, they catch up with their school grade levels and eventually advance far beyond them. Also, in the Kumon method, parents play a very important role, as while students go to a Kumon Centre on a regular basis, their worksheet study is carried out daily at home, with home study being essential in nurturing good study habits and progressing smoothly with the programme. Overall, The Kumon Method is an individualised learning method and supplements the Singapore education system. The official Kumon Learning Centre Singapore Facebook page is located at www.facebook.com/kumonsingaporeofficial/. Following the Facebook page, you’ll learn more about the learning centre’s programs, their events, and much more.